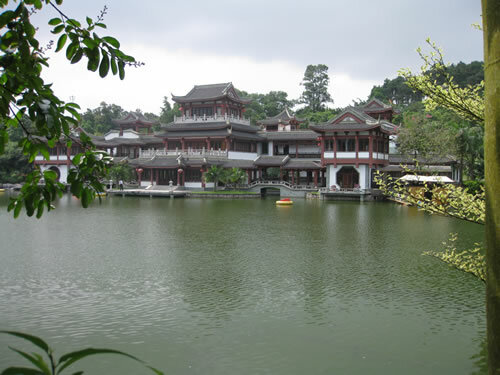 Nanning (南宁) is a “medium” sized (population ~6.5 million) city located in southern China. 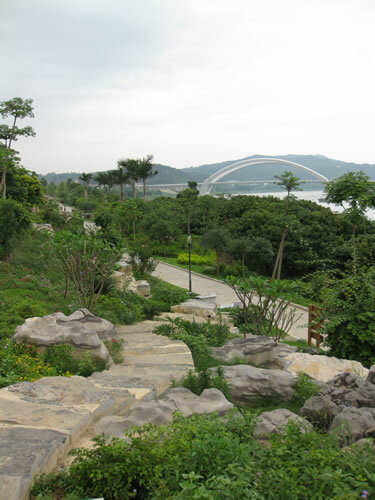 It is the capital of the Guangxi autonomous region and is known as “the Green City”. Like Beijing, Nanning has a lot of new developments near the edge areas. The new parts of the city look modern and clean, but the older parts of the city look a little crummy and worn down. 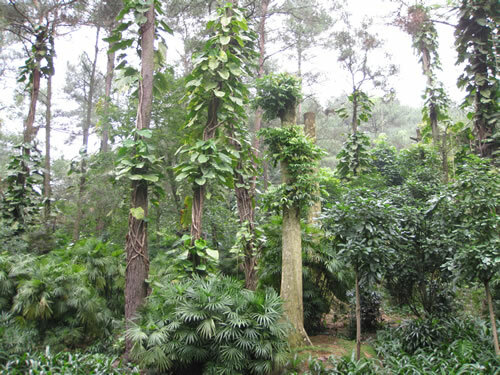 Abiding by its nickname of Green City, Nanning has a lot of lush tropical greenery. The city also spent a lot of effort on lighting, and there are so pretty cool lights flashing around the city at night. 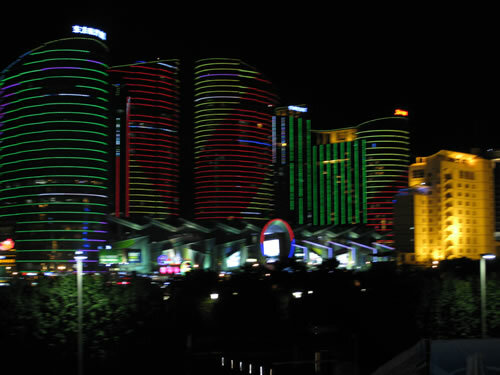 A shot of the new part of Nanning at night. The photo may be blurry, but lights still look fancy. Compared to Beijing, the drivers in Nanning aren’t quite as aggressive, but traffic is still a mess. For one thing, the streets tend to be narrower in Nanning, particular in the older parts of the city. Another reason for the traffic chaos is the numerous presence of electric bikes. These bikes are relatively cheap and unlicensed, and people drive them literally anywhere they want regardless of what signs or traffic lights say. The only positive thing about the traffic chaos is that since no one can drive very fast, accidents are probably not as fatal as those in say North America. As for the weather, Nanning is warm and humid even in May. It didn’t rain too much during my stay, but the humidity is hard to bear especially for someone like me who comes from a cool environment. It just feel so hot and sticky walking outside. This warm, tropical environment is also a haven for mosquitoes and other biting bugs, and these things appears to prefer foreign visitors like myself. My family went to Nanning mostly to visit relatives, but we visited some tourist spots as well. 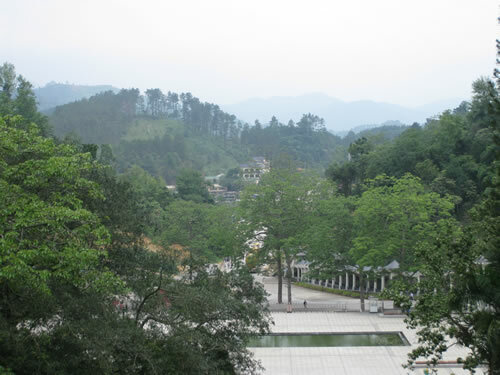 Qingxiushan Park (青秀山公园) is the preeminent big park in Nanning. The park is mostly filled with lush tropical foliage, but there are a lot of things to see including some Buddhist temples, a pagoda, and even an ropes/obstacle course for people to play in. The park is a little too large to walk all the way around in half a day, but visitors can choose to ride scenery carts around the park to shorten the walking. Located about two hours drive south of Nanning, the Friendship Pass (友谊关) is a border pass located on the China/Vietnam border. This border pass has a 2000 year old history dating from the Han Dynasty, but most of the building located there now were built in the last century and a half. 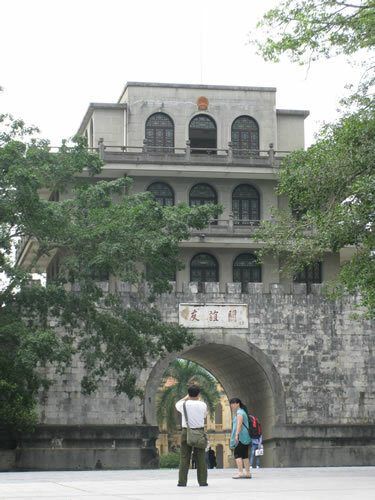 The pass is the location of several conflicts particularly in the Qing dynasty, and even today there are military installations nearby. From the location, you can easily look into Vietnamese territory and see the modern border crossing between China and Vietnam. The Pearl River seen from an elevated location. For some reason this was the only shot of Guangzhou I took. 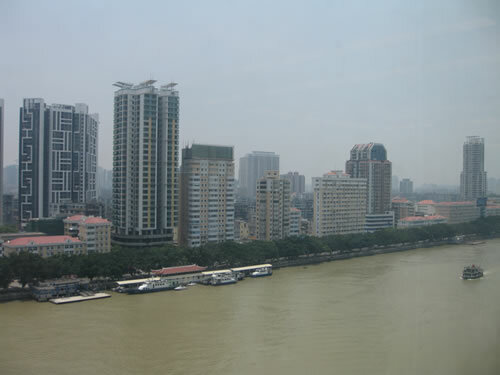 Guangzhou (广州) is the capital city of the southern province of Guangdong province. It is a large city with an urban population of near 12 million. Guangzhou is a city that I used to familiar with, but I hardly recognize anything when I first arrived during this trip. There are a lot more tall buildings and overpasses than before. Just like with the other cities I have visited during this vacation, Guangzhou is still rapidly expanding, and the development effort has been spurred even more by the upcoming Asian Games taking place this November. Like Nanning, Guangzhou is hot and humid even in May, and there are a lot of mosquitoes flying around. After visiting Nanning and Guangzhou, I have more mosquito bites than I care to count. Unlike Nanning, it actually rained quite heavily in Guangzhou during my stay, and this limited where my family and I could go. We came to Guangzhou mostly to visit relatives and to shop, so we didn’t really plan on going to tourist spots anyways. Guangzhou is a shopping destination, and the stuff is cheap especially when compared to Canada. Unfortunately, I couldn’t find much in terms of clothing and shoes because my 6’2″ frame is much larger than that of an average Chinese southerner. The other members of my family bought a lot of stuff though. Touching upon the traffic, Guangzhou actually has the least chaotic traffic I have seen during this trip despite what I have heard from others. Even the busy districts like Tianhe (天河) appear to be managed well, but it might have something to do with the city holding the Asian Games this November. There are very few electric bikes on the road due to banning, and complex system of overpasses and interchanges seem work to a certain degree. Guangzhou has the most numerous road bridges I have ever seen in a city, and I’m positive that out-of-town drivers are going to get lost in such convoluted traffic network. 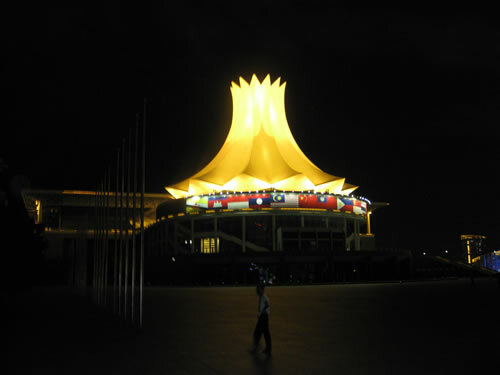 Located about a two hour drive south of Guangzhou is Shenzhen (深圳), a large city with supposedly over 10 million people. It is another city that I used to be familiar with, but it has changed even more than Guangzhou. 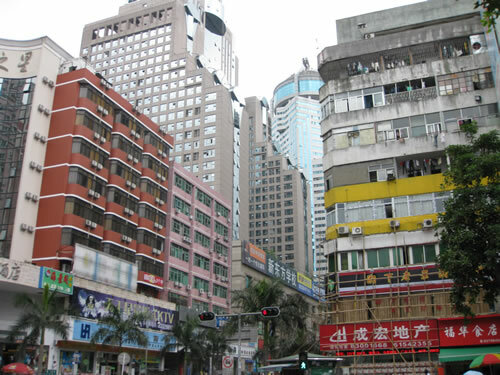 Due to special economic policies and close proximity to Hong Kong, Shenzhen is reputedly one of the fastest growing cities in the world with high-rises dotting the skyline and new buildings going up everywhere. It is a very busy and vibrant city, and the traffic is absolutely terrible. Shenzhen's famous electronic street lined with gadget shops and full of people. Shenzhen is well known around the country and even the world for is its high tech industry and contains manufacturing facilities from many Chinese and foreign companies. As such, people around China come to Shenzhen to buy electronics. 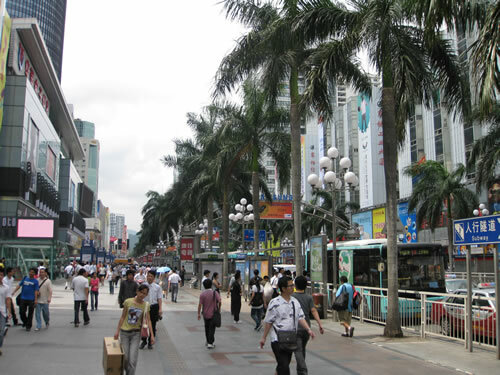 There is a street in Shenzhen nicknamed “Electronic Street” that is lined with nothing but electronic shops. There are countless numbers of vendors peddling cellphones and various other gadgetry at good prices. I bought an unlocked LG KC910 cellphone for about $150 Cdn with a secondary battery and charger, and I think that’s a pretty good deal for an 8 megapixel touchscreen phone. 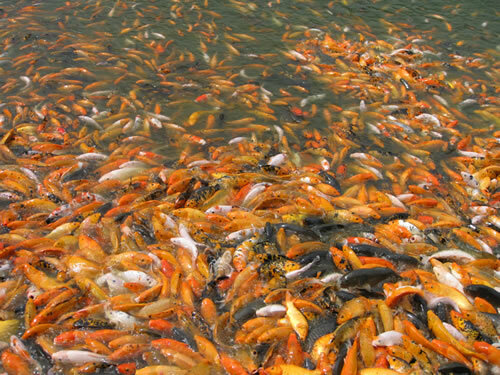 Overall, I think my family trip back to China was a successful and worthwhile experience. We visited a lot of places, reconnected with many relatives, and accomplished most of goals we had for this trip. On the downside, the trip was a bit tiring. We had to walk a lot (especially in Beijing), and for some reason I’ve developed neck pains. After being away from China for so long, I also wasn’t used to the environment anymore, especially the weather in the south, the traffic, and the sheer amount of people. Every city I’ve seen in China makes where I live now look like a little rural village, and I’m a bit taken aback by the busyness of it all. I’m just too used to the ways of North America. However, despite all my complaints I’m still glad I went back. I don’t know when I will visit China again, but hopefully the gap wouldn’t be as long as the last one. There are still a lot of places in China (even in Beijing) that I still haven’t visited yet, so there should be plenty more to see the next time I go back. – Despite various claims I’ve heard about Chinese people getting taller, I found that most people (even those in Beijing) are short. Shorter than the average North American anyways. I’m not especially tall by North American standards, but in China I can easily look over most people’s heads. Funny enough, I saw the largest number of tall Chinese people (around my height) in Guangzhou and not Beijing. – Advice to other travelers: it really helps to have some tissues or toilet paper with you at all times. This is because many public bathrooms in tourist sites do not have toilet paper. Sometimes there is toilet paper in the front guarded by a custodian, but it helps to have some of you own if you ever need it. – Another washroom related advice: get used to squat toilets. Unless you are going to the washroom in a hotel or some very swanky places, chances are you are going to find squat toilets.